BEIJING -- Germany has received assurances that its automakers will not be discriminated against in China, its economy minister, Sigmar Gabriel, said in Beijing on Wednesday, a positive signal in a visit conducted amid strains in trade ties. In talks with Chinese Industry Minister Miao Wei, Gabriel discussed China's plans to set quotas for electric cars from 2018. 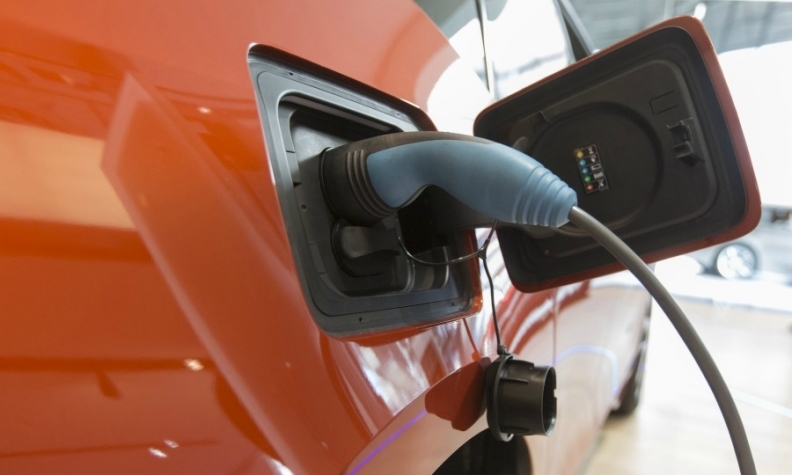 The German newspaper Sueddeutsche Zeitung cited a draft Chinese law as saying that manufacturers will have to produce a certain proportion of zero- or low-emission emission vehicles, starting in 2018, or else be forced to buy credits from other producers. Some German firms have expressed fears that the quotas would restrict their market share and pose an extra hurdle for European firms in China. Volkswagen and Daimler have been taking steps to expand capacity in China, where strong demand has helped to offset falling sales elsewhere - but their electric-vehicle production remains at a fledgling stage. Gabriel said Miao had indicated that German fears of being excluded were unfounded, and said Miao had promised that any German carmaker producing in China, the world's biggest auto market, would be treated on an equal basis with Chinese companies. Gabriel also told reporters that German companies were not obliged to use Chinese suppliers. Foreign auto brands are only allowed to manufacture cars in China through joint ventures with local partners, and typically are limited to two partners. VW already has joint ventures with SAIC Motor and China FAW Group. VW was one of the first global automakers to set up production facilities in China during the 1980s. The automaker signed a preliminary deal with China's Anhui Jianghuai Automobile only two months ago to explore making electric cars in a joint venture. Before his trip with 60 German business executives, Gabriel had called for a more level playing field for foreign firms in China, but also pushed for EU-wide rules to block Chinese takeovers of key technologies. Last month, his ministry withdrew approval for Fujian Grand Chip Investment Fund (FGC) to buy chip equipment maker Aixtron , citing new security concerns. It has also reportedly blocked a Chinese takeover of Osram's light bulb unit Ledvance pending a review. Thilo Ketterer, an M&A adviser at consulting and auditing firm Roedl & Partner who is currently in China, said the moves had unsettled Chinese investors he had met. "They're not cancelling the deals but they wait. Because now, if they have a target, they know exactly that the German government will check it very carefully. Chinese investments in Germany in the first half of the year were up 200 percent, according to a Bertelsmann Stiftung study published on Wednesday. Chinese Premier Li Keqiang said both countries should "send out clear signals that both sides oppose protectionism," according to a statement posted on the cabinet website.